Step into the socks of Vivian Grimes, a freelance indie developer who creates art games from home. Viv has a project due in five days but is having a hard time handling harassment and self-care. Can you help guide her toward making a quality product? 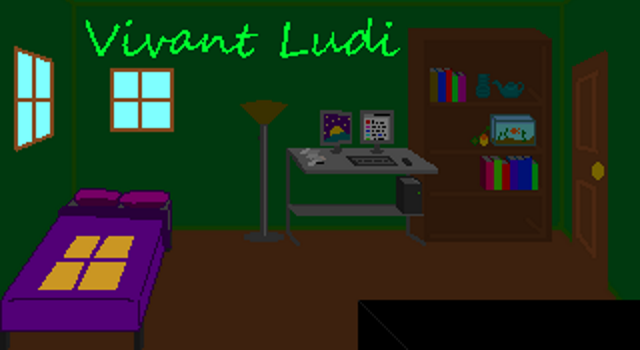 CONTENT WARNINGS: This game contains references to harassment, transphobia, dysphoria, death threats, and video games. You can also neglect a fish, but the fish lives. He's a trooper. 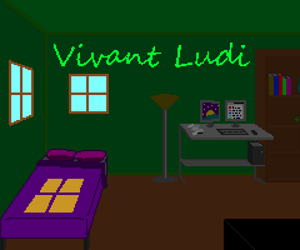 EDIT 2014-09-30: Nat Budin has made a wineskin conversion of Vivant Ludi to Macintosh!